NAUGHTY @ 40 tells the story of a 40-year-old man [Govinda] living in London with his parents [Anupam Kher, Smita Jaykar] and cousin [Harish]. The problem is, he's still a virgin. 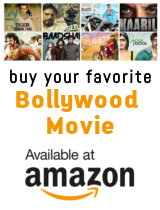 The father seeks the help of his employee [Shakti Kapoor], who tries various tricks in the book so that Govinda loses his virginity, but all efforts turn futile. The family leaves for Manali, where Govinda gets married to a girl much younger to him [Yuvika Choudhary]. However, Yuvika is up to childish pranks all the while, which results in Govinda getting into a physical relationship with a foreigner. Yuvika gets a rude shock when she discovers the truth. That brings about a change in her attitude.